The Seneca Indians have lived in the Western New York region for thousands of years. They were one of the most important nations of the Iroquois League and created a highly developed society, says Jason Younker, a professor of anthropology at the Rochester Institute of Technology. But few of the Seneca people living today are fluent in their native language, and the language is in danger becoming extinct, Younker says. 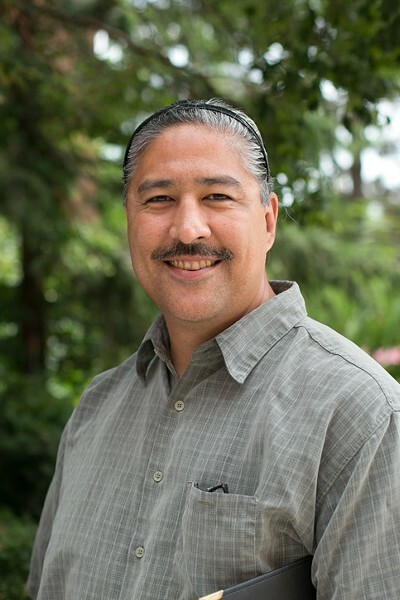 Younker, a member of the Coquille tribe, helped get a federal grant to partner RIT with the Seneca Nation to develop a user-friendly, web-based dictionary or guide to the Seneca language. "This is not an archival project," Younker says. "We're trying to make sure the language grows, that it doesn't die out." But the project, called the Seneca Language Revitalization Program, isn't going to be easy, and it will take years to complete. "The Seneca language is extremely complex," says Robbie Jimerson, an RIT graduate student in computer science. Jimerson, a Seneca who lives on the Cattaraugus Indian Reservation outside Buffalo, is helping build the dictionary. He doesn't speak the language fluently, however, so he enlists the help of linguists and, in some instances, elder family members. The challenge is that the Seneca language is more of a verb-based way of communicating. And a single word can have multiple meanings, depending on how it's used. "The word 'running' for example, has nine different ways of speaking it," Younker says. "Running away, running with something, and running in a direction are all spoken differently." And the project has to take into account that every language evolves with time, Younker says. Similar to European languages, the words the Seneca used 1,000 years ago, or even 200 years ago, are often used differently today. The project is important for several reasons, Younker says. It will help future generations learn and use the language, but it will also help preserve the Seneca culture and the Native American tradition of communicating through story telling, he says. The Seneca were fortunate to be able to preserve their language as well as they did, Jason Younker says. There are more than 550 federally recognized tribes across the US and each had their own language. But many Native Americans lost their languages as they were moved to reservations or assimilated into US society. Language that becomes extinct or close to extinct is often an indication of a people's history, Younker says. It's not an indictment of the Native American people; it's more of a testimonial to their survival, he says. "When Native American people were sent to the reservations, they were often told not to speak their language," Younker says. The mistake was thinking that getting rid of the languages would also get rid of the cultures, he says. "There is a very deep cultural understanding of what your word means [to Native Americans]," Younker says. "And that's the importance of language and oral histories. Native Americans know you can rip up a piece of paper. But if you say you're going to do something, it exists in someone's memory. It doesn't go away."